After a long day of hard work followed by bumper-to-bumper traffic, do commuters dream of autonomous vehicles (AVs)? 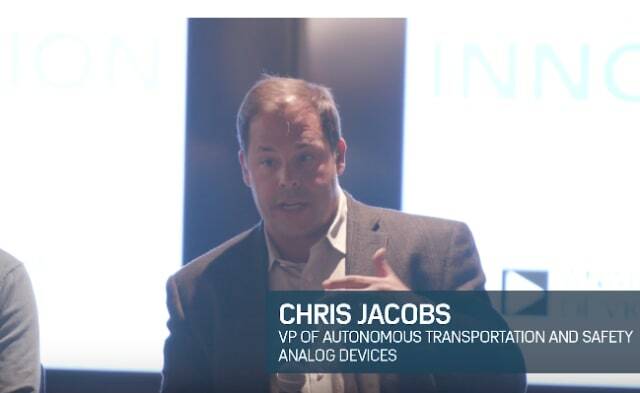 Chris Jacobs, vice president of Autonomous Transportation & Automotive Safety at Analog Devices, Inc. (ADI), doesn’t necessarily think so. At least, not until they are safe enough for consumers to trust them. Late last year, Jacobs sat among a panel held by ADI to discuss “Overcoming Barriers to Autonomous Driving”. An apt title since last year wasn’t the best year for public opinion on autonomous vehicles. Apparently, half of drivers aren’t convinced AVs are safe enough and it is clear that manufacturers and developers need to step up their game. With that dip in public opinion lingering in AV researchers’ minds going into 2019, Jacobs offered his predictions and insight into product development aimed at reflecting the concerns of consumers, governments, and investors. According to Jacobs, the ultimate goal for autonomous vehicles ought to be achieving “Vision Zero”, a multi-national pledge to drive (pun intended) the number of vehicle-related fatalities toward zero—and keep them there. The United States National Highway Traffic Safety Administration (NHTSA) reported in a study from 2015 that 94 percent of accidents on the road are the result of human error—an overwhelming majority. With over 25,000 deaths on the road each year in the United States, engineers and urban planners are working together to minimize the opportunities for human error, including preventative measures like a dedicated infrastructure for bicycles. Beyond cities, unfortunately, these projects become more difficult to implement. Another way Vision Zero can be met is through a complete transfer of control from humans to the vehicles themselves. 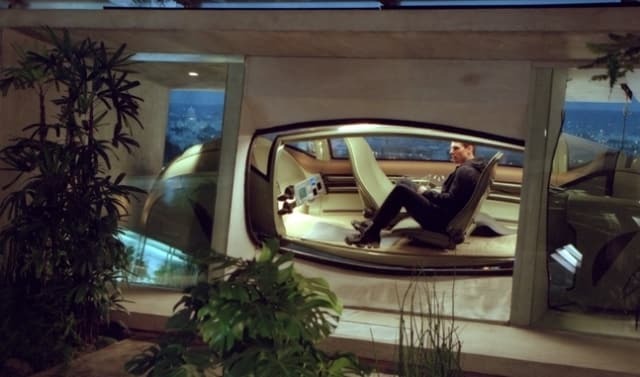 However, considerable technological barriers stand in the way of Level 5 autonomy, the ultimate in hands-off, mind-off, self-directed transportation, the stuff of dreams and science fiction. Legal, ethical, and economic barriers also place Level 5 a long way off. In the meantime, Vision Zero has had a real effect on introducing new safety standards for AVs through legislation. For example, the NHTSA, the Insurance Institute for Highway Safety and 20 car manufacturers convened in March of 2016 to require that, after September 1, 2022, nearly all new car models sold in North America be equipped with an automatic emergency braking (AEB) system. AEB systems use radar to locate an object beyond the vehicle. Those data are then computed to identify and predict whether the object will collide with the vehicle. If the object is likely to cause a collision—and there is neither braking nor evasion initiated by the driver—the AEB system will act to bring the vehicle to a stop. When AEB becomes standard for all new vehicles, economies of scale should make radar systems more affordable. However, even when the AEB standard begins in 2022, not every driver will be in a financial position to purchase or lease a new vehicle. Early last week, some of Jacobs predictions started coming true at CES 2019. Instead of spending money and energy on pushing fully autonomous vehicles, companies are choosing to focus on improving their safety standards for drivers, passengers, pedestrians and cyclists by enhancing a car’s advanced driver-assistance systems (ADAS). At CES 2019 in Las Vegas, Amnon Shashua—chief executive officer and chief technology officer of Intel’s Mobileye—seemed to echo Jacob’s sentiments. Shashua noted the “growing emphasis on ADAS in safety ratings,” and then defined two key revolutions that autonomous vehicles present for the future: one of transportation and one of saving lives. 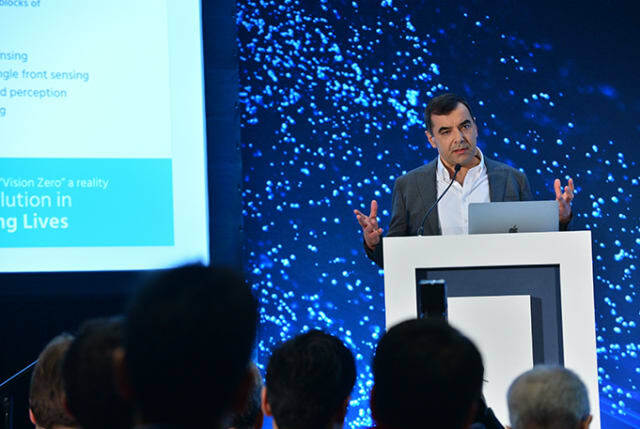 Presenting Mobileye’s EyeQ5, Shashua demonstrates his company’s emphasis on saving lives by investing their efforts into the highly automated vehicle (HAV) market. That is, research into Level 3, 4 or 5 autonomous vehicles has not halted, but instead there has been a shift in the priorities of their development from revolutionizing transportation towards revolutionizing safety. Although more was made of self-driving disasters, last year was not without its highlights for the industry. There was considerable progress in solid-state LiDAR technology, for example. LiDAR is a lot like radar, but instead of radio waves emitted to get spatial information, LiDAR uses pulses of ultraviolet, optical, or near-infrared light to measure distance. More expensive than radar, a LiDAR apparatus for an AV can cost anywhere between $4,000 for Velodyne’s VLP-16 up to $75,000 for top-of-the-line LiDAR. Further, most LiDAR systems include complicated mechanical systems such as mirrors rotating several hundred times a second around a laser and sensor. Research-grade optical mirrors are not cheap. Expensive parts need expensive repairs, far more than the average consumer can be expected to pay, even if those costs are infrequent. Shrinking or removing mechanical parts from LiDAR would drive those costs down and open AVs to markets accessible to average consumers. Incoming is solid-state technology. Jacobs noted in his panel that we need to keep an eye on any progress in producing cheap, solid-state 1500nm LiDAR. That specific wavelength offers high-resolution, high-reflectivity on cars and tires, and won’t damage the eyes of bystanders like more energetic wave lengths might. It’s a balance made in safety. The benefits of 1500nm have been known for some time, but we have had to wait for a design that allowed its use without a rapidly rotating mechanism. Instead of a mirror atop a vehicle, spinning several hundred times a second to steer the beam, solid-state LiDAR relies on a single fixed beam laser and some signals processing magic. Millions of wave guides receive the fixed beam. Each wave guide affects the phase of its output signal. Outside of the setup, the emitted signals constructively and destructively interfere with one another. By the tiniest manipulations of the phases of those output signals, a solid-state LiDAR’s beam can be steered by this phase array. While no single, solid-state LiDAR is capable of full 360-degree coverage (typically 90 degrees or 120 degrees, max), the solid-state units are cheap enough that several can be stacked to get a full 360-degree view. Looking to the future, Jacobs expects progress in software, hardware, and maturation of sensor fusion engines and algorithms. In the panel, he re-iterated the importance of inertial navigation systems (INS) being used in both AVs and cars with ADAS. INS will allow a vehicle to find its way around a city in the event that its GPS connection is lost. Moreover, INS can help a vehicle know its orientation and course even if sensors are frozen over, broken or blocked. But the difficulty for INS lies in how to combine all of these data from the sensors and process the data together to make accurate decisions. INS is not alone in this challenge. Sensors for LiDAR, radar, infrared, etc. each differ in how they sense their environments. These sense data—like those from the accelerometers, magnetometers, and gyroscopes used by INS—have to then be fused to paint pictures of the world for an AV’s processor so that it can make decisions. Sensor fusion engines, the algorithms they are built upon, and the control theory behind those algorithms are each used by ADAS to synthesize the harvested information about its state and surroundings so that reliable conclusions can be drawn. In particular, sensor fusion algorithms must be optimized to ensure that risky evasive maneuvering doesn’t activate a trip wire, such as AEB, and cause a collision because the data from the sensors wasn’t sufficiently synthesized enough. Such critical failures in sensor fusion can be fatal. It’s pretty clear that for all the excitement that surrounds autonomous vehicles, the promise of a better quality of life for millions worldwide and the enormous potential for a decrease in transportation costs, none of it will happen if autonomous vehicles are not considered safe.